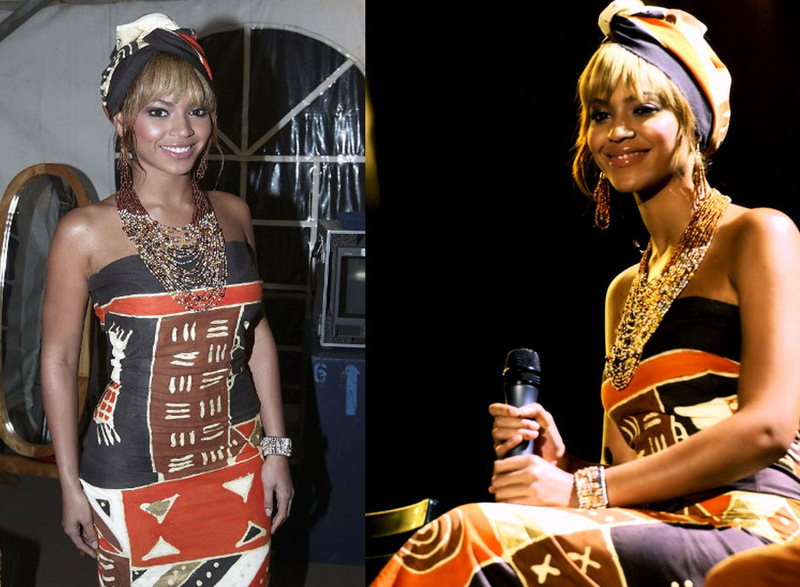 Beyonce loves her African Print and has been spotted a few times wearing the trend. I just stumble upon this picture of Beyonce taken since 2003 in South Africa.Well since Ciaafrique was not in existence then I thought I should still share it you even though It was 8 years Ago. What do you think ? i love queen B , sorry but i dislike this look !! !